Intel needed to communicate to their customers the new line of Core 2 Duo processors. 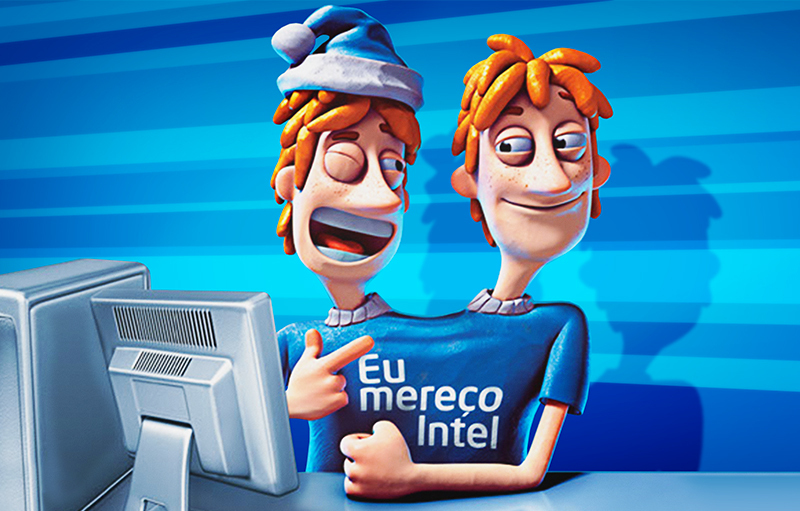 On a Christmas campaign, where competition with so many other brands is fierce, we created the characters “Dual Core Brothers”. They are Siamese twins, who until then had trouble doing two things at once. With a playful appeal and with a bizarre touch, the campaign was a great success, bringing a historical media recall for the brand.